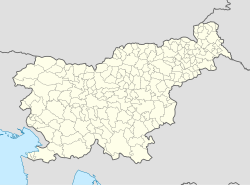 Mlaka nad Lušo (pronounced [ˈmlaːka nad ˈluːʃɔ]) is a small settlement above Luša in the Municipality of Gorenja Vas–Poljane in the Upper Carniola region of Slovenia. The name of the settlement was changed from Mlaka to Mlaka nad Lušo in 1955. This page was last edited on 26 March 2017, at 06:37 (UTC).